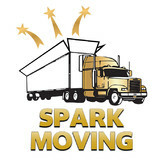 We are a professional moving company with years of experience and hundreds of happy customers. Relocating to a new house is stressful enough without having to worry about the logistics of an entire move. So when it comes to the heavy-lifting (literally), leave it to the professionals — professional movers, that is. Experienced Westmont, IL moving companies consist of expert movers and packers who can efficiently pack, move and assemble your Westmont belongings to ensure that you get off to a good start in your new home!